The Underground Alliance crew is getting more and more used to the more country style living out in Woodstock, and we’re all finding our little projects to keep ourselves busy. Most recently, I’ve slapped some velcro on some of my more essential stomp-boxes, and a sanded down piece of lumber for a simple pedalboard. 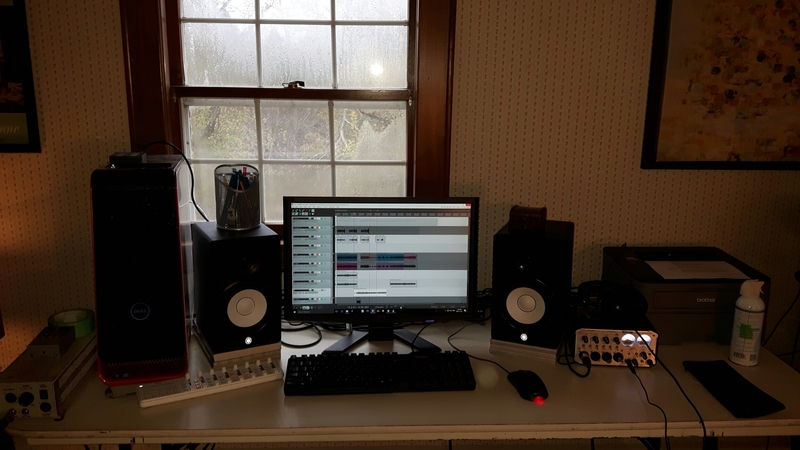 With recording an mixing being my primary passions, I’ll talk a bit about our setup so far for doing just that. The first picture is our living room setup. this is the brain for most of recording, as it is equipped with the Scarlett 18i20, as well as an Ultragain Pro-8 for 8 more channels through ADAT. We’re generally able to record anywhere in the house we want to from here, with our 16 channel snake. This is where we keep our two sets of consumer grade speakers. a set of JVLs on top, and Kenwoods on the bottom. The idea, is to replicate what your general TV set up, or stereo system most casual to avid music listens will usually listen through. The second picture, was taken in my room. 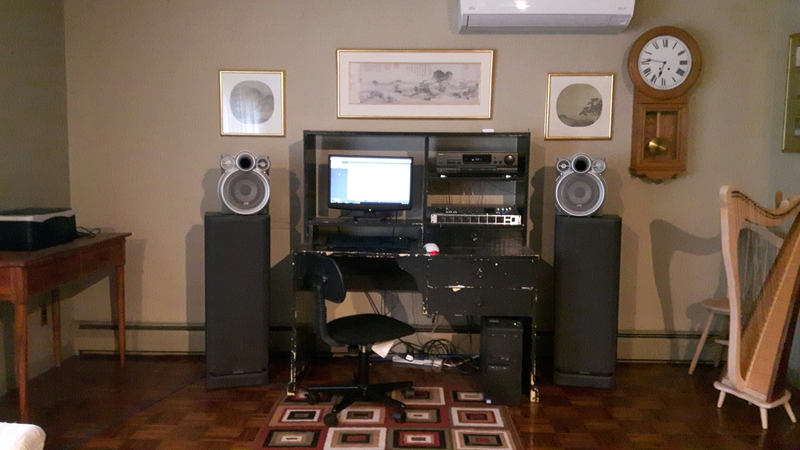 This is where I will do most of my mixing, on the Yamaha HS5s. Speakers meant to be much flatter and truer, than pleasant. This is where my more powerful computer is set up, an I7 PC with 22 gigs of ram. 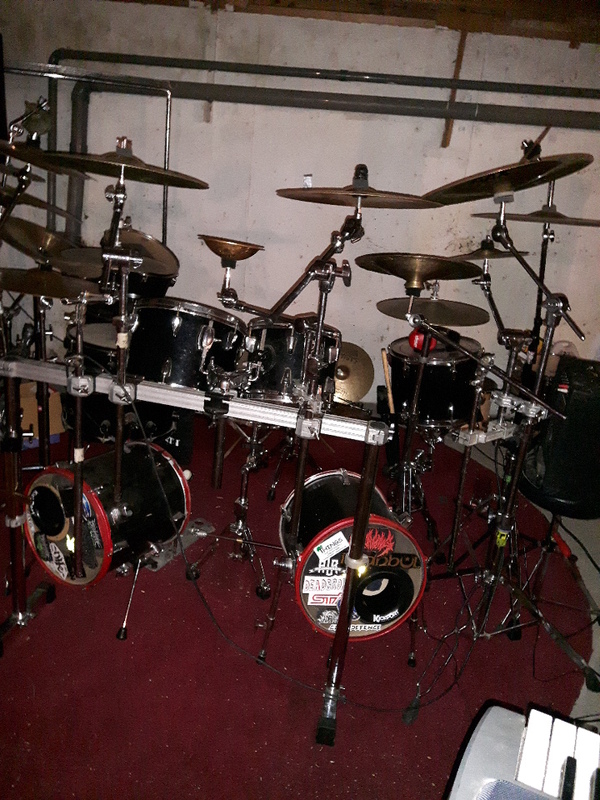 I keep my TD-11 V Drums hooked up off to the right, to practice through Superior Drummer. The third, is Chaddus’ Drumset. The downstairs jamroom is often in a state of shifting for the jamming needs, but Chad’s drumset often stands strong. 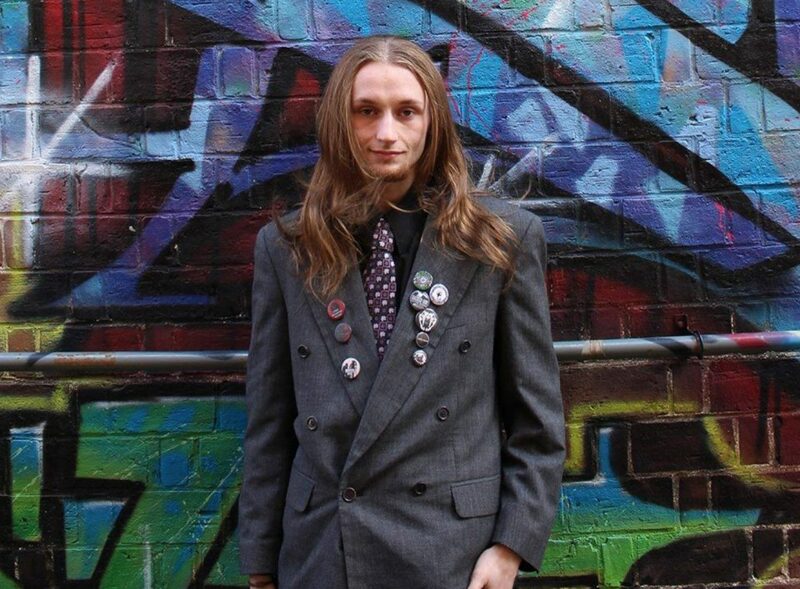 Something he’s built up to cater to his Death Metal tastes, and desire for speed. We look forward to bringing you more news as we dive deeper and deeper into our music. Until next time!